During the filibuster, CSPAN 2 reported twice as many viewers tuning in, in comparison to a typical Wednesday. FreedomWorks president Matt Kibbe went out during the filibuster and smashed a cell phone with a hammer to express his frustration with spying on innocent civilians. And for many activists, simply watching the live feed was not enough. 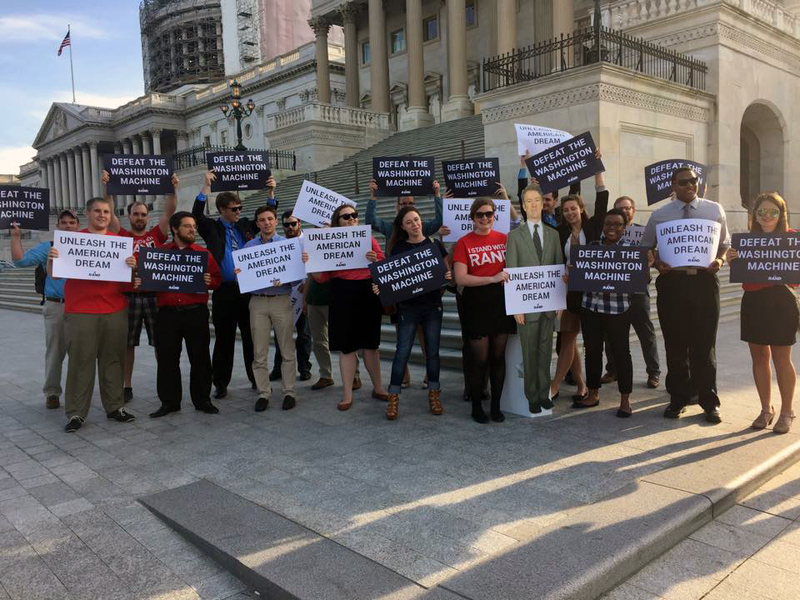 Shortly after the filibuster began, an event popped up on Facebook titled, “TONIGHT: Stand with Rand on Capitol Hill.” A local activist, Cliff Maloney, created the event for those who wanted to show solidarity with yesterday’s filibuster. At 6pm, I approached the Capitol building. From hundreds of yards away, I could hear “Stand with Rand!” echoing over the Hill. Many other phrases were chanted, such as “NSA: GO AWAY!” Reporters from several news sources came to see what the commotion was all about, and the local security watched the peaceful and passionate display from a close distance. Senate Gallery passes were distributed among many of the excited supporters, who received the opportunity to witness old fashioned politics at its best. I, for one, am glad to have taken part in a historic moment for the preservation of our Constitution. 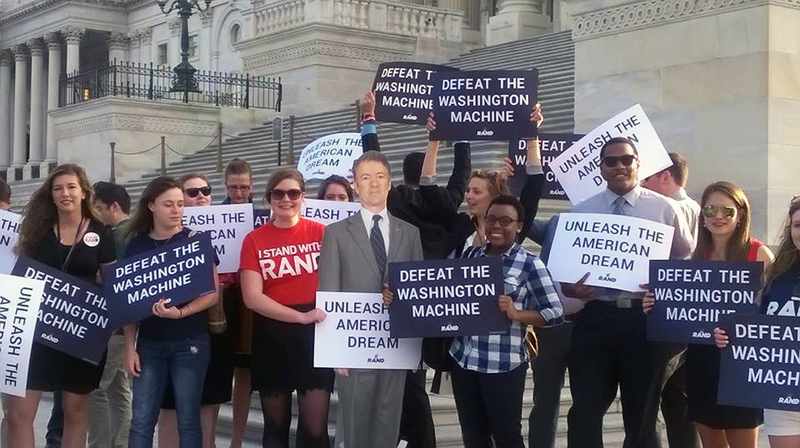 And above all, I am proud to Stand with Rand on the issue of NSA surveillance.